New government figures show that in 2014 ,240 people were killed in accidents where a driver was over the legal drink-drive limit. This means that 13 per cent of all road fatalities in 2014 involved at least one drink-driver - a proportion unchanged since 2010. However, drivers’ groups and safety campaigners say that this is not enough and are calling for more action, including better education and a drop in the drink-drive limit, to address the “disappointing” stagnation in fatality figures. “We need as a society to break through this plateau and once again consistently reduce needless, alcohol-related road deaths in the coming years. 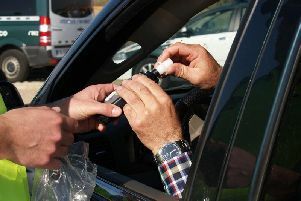 “That means both renewed efforts from law enforcement and changes in attitudes from motorists. Tim Shallcross, head of technical policy at IAM RoadSmart, said: “The government must get to grips with five years of disappointing figures now. “It needs to show stronger leadership to really drive down road deaths and serious injuries in the future.